When purchasing a new home, investing in a homebuyers’ drain survey should be considered one of the most important priorities. Buying a house is a costly and involved process, which is why it’s so vital that prospective buyers get a full and thorough appraisal of any potential risks and faults with the drainage system before they become a problem. Our team at Lanes can provide you with a thorough appraisal of the condition of your new home’s drainage system, giving you full visibility into any work that may need to be done before you can complete your purchase. Contact us today at 0800 526 488 – all we need to get started is your postcode! Why are homebuyers’ drain surveys so important? For homebuyers, a general house survey is a mandatory part of the purchasing process, with many mortgage providers and insurers requiring a full surveyor’s report before they agree to get involved. However, the property’s drainage system can often get overlooked – partly because surveyors lack the equipment and expertise to properly assess the condition of the drains, and partly because drainage-related risks are often forgotten about by the buyer. What can a drain survey provide? By providing you with a comprehensive written report and DVD evidence of any problems that we find, our drain survey team can help you complete your home purchase more efficiently, while also making it easier for any problems found to be rectified. We can also help to conclusively determine which parts of the drainage system fall within your legal responsibility as the new property owner, and which parts are under the authority of the local utilities provider. How can I arrange a homebuyers’ drain survey? By getting in touch with Lanes, you’ll be to find out more about the kind of service we can offer for your property – all we need to get started with your inquiry is the postcode of the property in question. For a free quotation, call us on 0800 526 488 or use our online enquiry form. 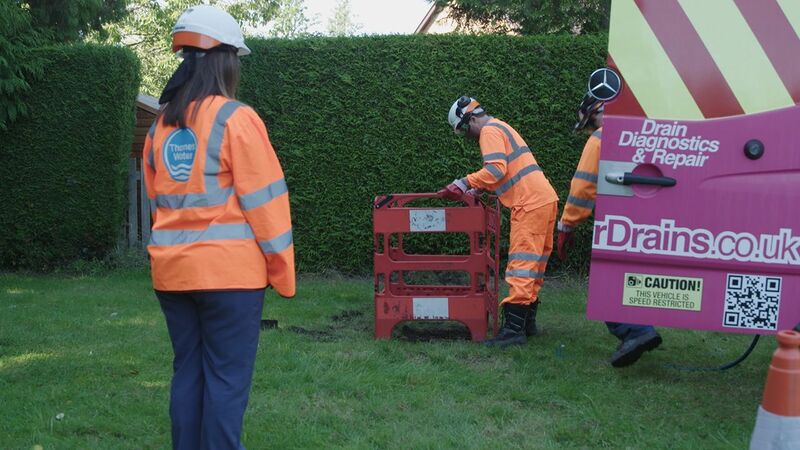 Alternatively, if you’re looking to arrange a CCTV drain survey with Lanes, then click here.